NASA TESS spacecraft has been in space for almost a year now, and it powerful imaging tools are definitely being put to work. As we saw with last year’s first batch of snapshots from NASA, TESS is capable of surveying huge portions of the sky in great detail, and that work just payed off in a big way. TESS, which stands for Transiting Exoplanet Survey Satellite, detects exoplanets by detecting changes in the brightness of the stars those planets orbit. In a new paper, researchers explain how the study of stars led to what is thought to be the first major exoplanet discovery by TESS. The scientists that originally discovered the object, which is being called TOI 197.01 (TOI meaning “TESS Object of Interest”) were originally studying a phenomenon known as “starquakes,” which are seismic waves that roll across stars and cause a shift in their brightness. Instead of finding a starquake, the team spotted the telltale signs of a planet moving between Earth and the host star. By closely studying the changes in the light of the star as it shines around the planet, researchers have been able to narrow down its possible makeup. TOI 197.01 is what is called a “hot Saturn,” because it is close to the size of Saturn but positioned closer to its star than Saturn is to our Sun. 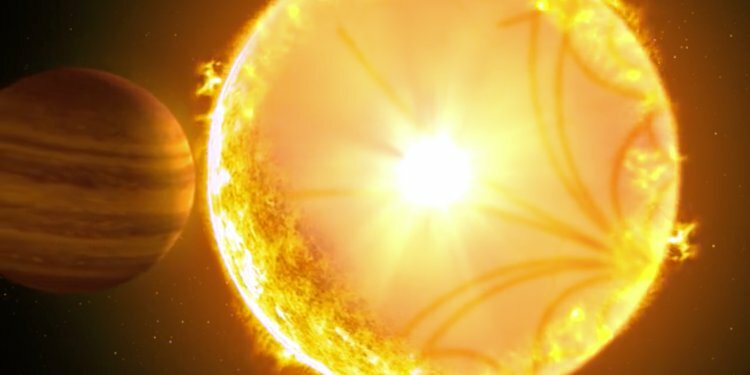 The planet completes an orbit in an incredibly fast 14 days, which means it’s incredibly close to its star and likely also incredibly hot. TESS is collecting an absolutely immense amount of data for researchers to sift through, and missions like this one tend to continue to yield new discoveries for months or even years after the spacecraft’s job has wrapped up. TESS’s original mission length was projected to be just two years, but it’s likely it will be extended if the satellite proves its still capable of functioning at a high level.